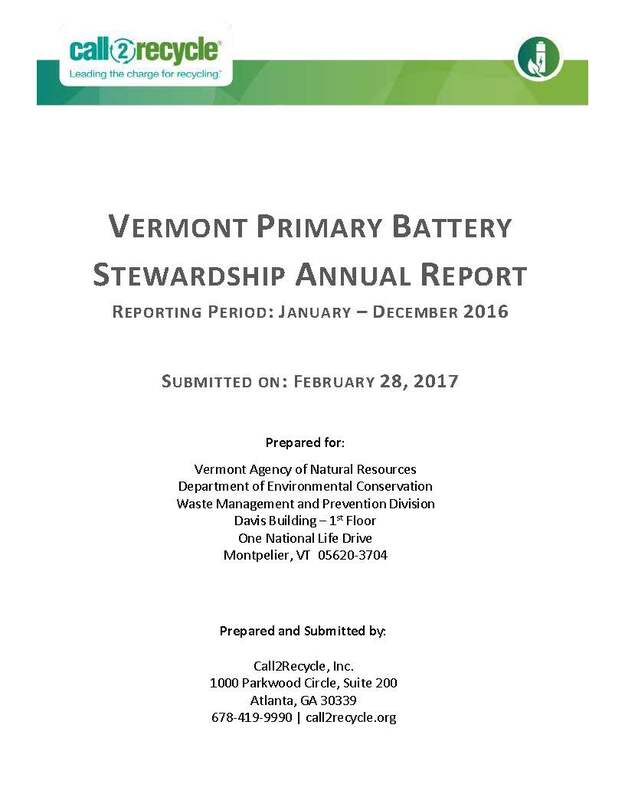 Under Vermont law, producers cannot sell primary batteries in the State unless they participate in an approved stewardship plan, which provides free collection and recycling of primary batteries for consumers. 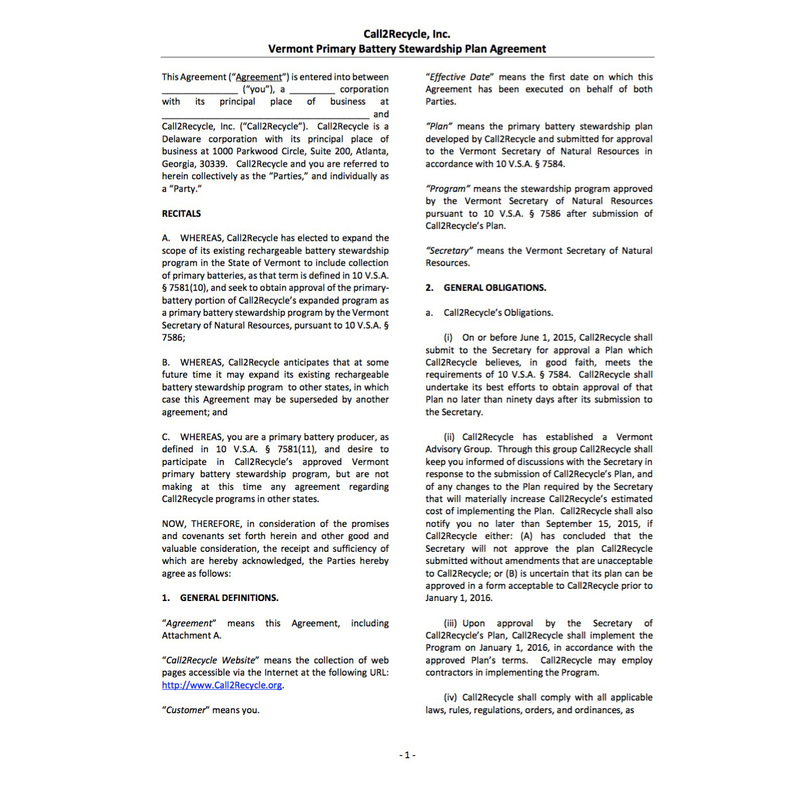 Call2Recycle® is currently the State-approved stewardship plan that allows consumers to recycle both rechargeable and primary batteries through a convenient network of drop-off locations. Here is the list of state-approved producers that can continue to sell primary batteries after December 31, 2015. 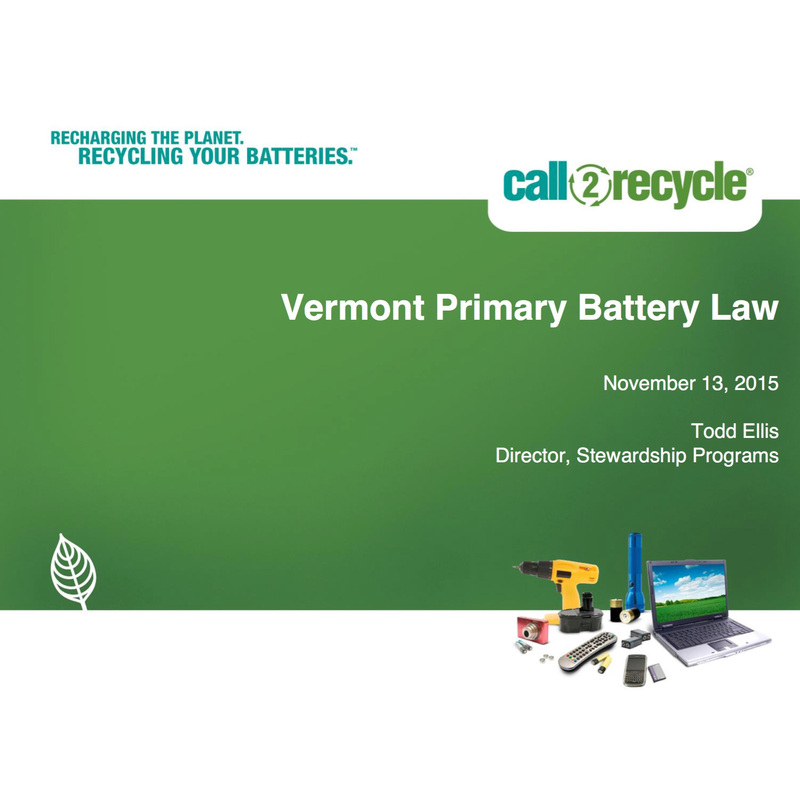 Under the law, “Primary batteries” are defined as non-rechargeable batteries weighing two kilograms (4.4 lbs.) or less, including alkaline, carbon-zinc, and lithium metal batteries. 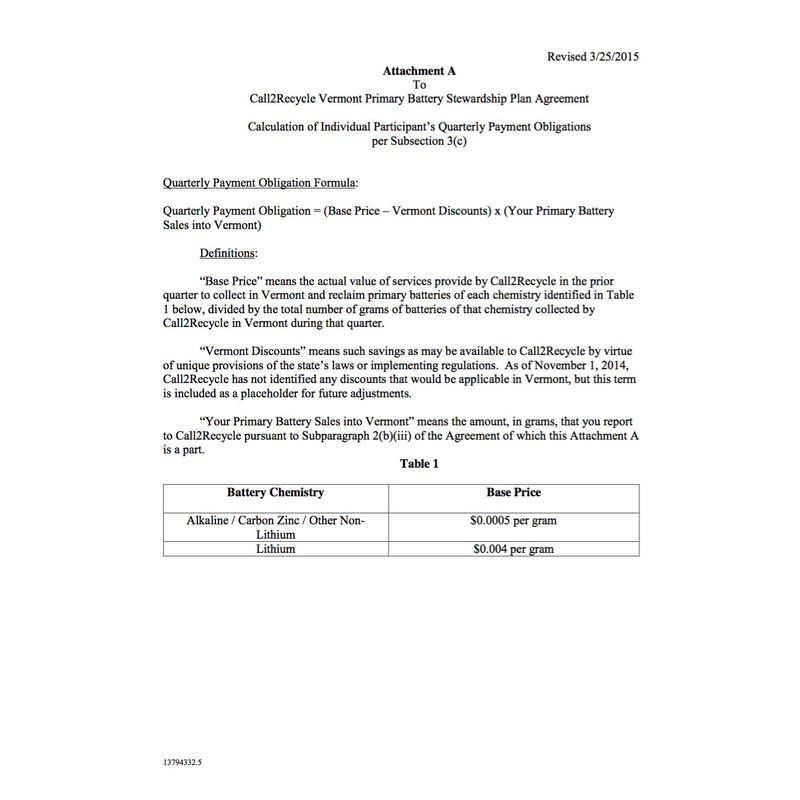 Producers with a total retail value of less than $2,000 annually from the sale of primary batteries are exempt from the law.